A beautiful staircase can be much more than a way to get upstairs. Custom staircases can add a beauty, flair, style, and centering focus to homes. From grand entryway staircases built from unique and luminous hardwoods to classic wrought iron stairways and modern floating stairs, chances are good that the best Alameda County stair contractors in Oakland, Dublin, Fremont, Newark, Hayward and your area can design, fabricate, install, and implement the staircase of your dreams. 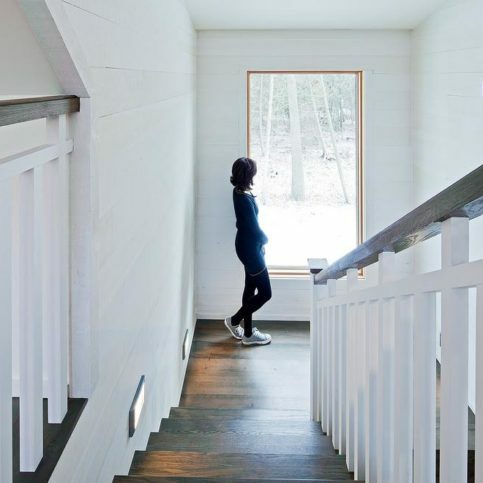 Whether you need a grand focal point in your entryway or are simply replacing or repairing old stair treads or handrails, follow the steps in the helpful articles below and soon taking the stairs won’t seem like a chore. What Can Local Stair Companies Do For Me? 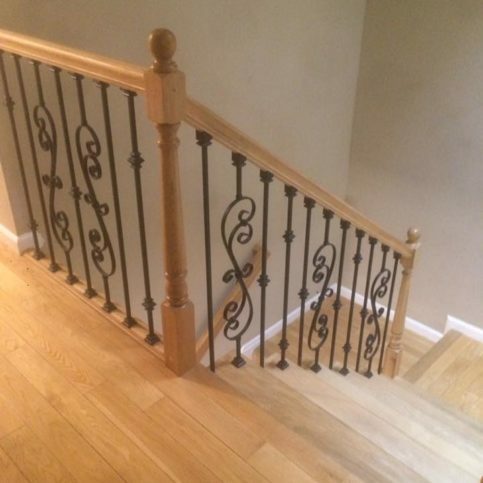 Alameda County staircase builders, including those serving San Leandro, Berkeley, Hayward, Fremont, Oakland and other areas, can provide a range of services including custom staircases, wood stairs, stair banisters, custom stair spindles, wrought iron stairs, new stair railings, stair repairs, and more. Each company will offer a different set of skills and products, so it’s best to interview local stair companies near you to learn what each can provide. As with any home construction project, new stairs or stair repair can be a major undertaking that requires a lot of planning, research, and patience. That’s where Diamond Certified comes in. All Diamond Certified companies have passed an in-depth ratings process that most other companies can’t pass. 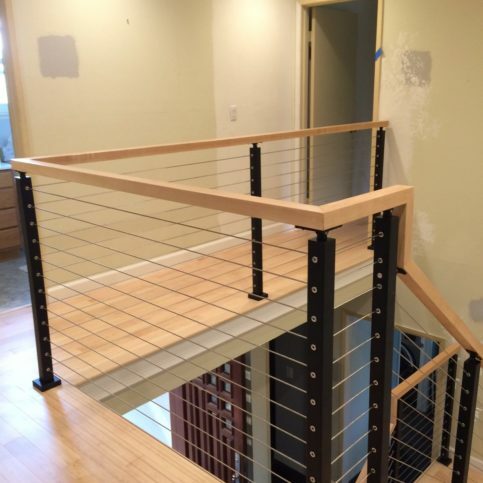 If you want quality from stair contractors in Alameda County and the Greater Bay Area, you can have confidence choosing a Diamond Certified company. Diamond Certified reports are available online for all certified companies. And you won’t have to worry about be fooled by fake reviews, because verified research on all Diamond Certified companies is performed in live telephone interviews of actual customers. Clearly, it’s best to choose a Diamond Certified stair contractor because most of the work has been done for you. If that’s not possible, you can do some legwork of your own to help improve your chances of hiring a good contractor. Start by looking up candidates on the Contractors State License Board website to verify active license and workers’ compensation insurance. Violations will also appear on the license record, so you’ll know about recent infractions or serious customer grievances that have been processed by the state. The next step is to verify credentials. Call references, perform thorough interviews, ask for pictures of their work, and even visit previous or current clients’ homes to see their work in person. This will be easier if you live in Pleasanton, Berkeley, Union City, San Leandro, Alameda or a larger area, but you may have some luck finding local clients if you live Ashland, Castro Valley, Cherryland, Emeryville, Komandorski Village, Livermore, Mount Eden, Piedmont, Russell City, San Lorenzo, Sunol or a smaller city. Additionally, since you’ll be spending days to weeks working with your Alameda County stair contractor, make sure you find a company and representative that you like on a personal level. You don’t have to become best friends, but you should respect each other and be able to work well together. Think about the personal qualities you like in a contractor and look for those, be they honesty, timeliness, good communication skills, cleanliness, dedication, or others. However, be aware that the person you meet with for the estimate may not be part of the crew that actually works on your new staircase or stair repairs. Confirm who will be working on your job and try to meet with them beforehand if they’re not part of the estimating process. This can help ensure continuity and guarantee that the promises the company made during the bidding and planning process will be honored throughout the job. Why Trust Diamond Certified Stairs Contractors Rated Highest in Quality? Taro Martinez has been working on staircases for 20-plus years and is president of Martinez Stair Company Inc., a Diamond Certified company. He can be reached at (925) 303-4238 or by email. A: Nola Po’Boy and Gumbo Kitchen in Concord. A: I’m into fruits and vegetables these days, so probably an apple or banana. 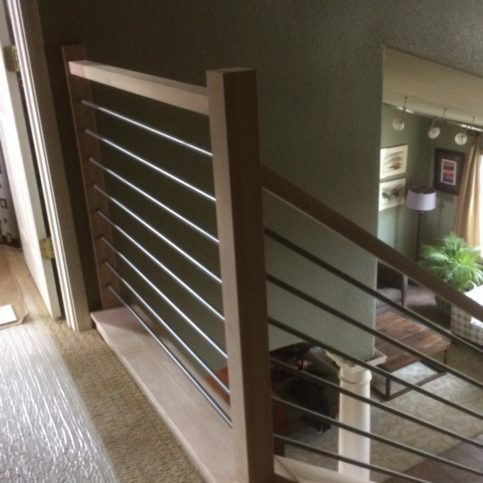 Martinez Stair Company Inc. combined glass and wood to give a contemporary look to this home in Alamo. 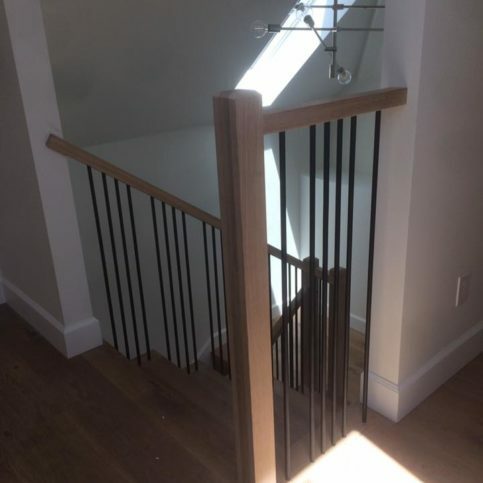 Martinez Stair Company Inc. installed square newel posts and railings with straight metal balusters to give this Berkeley home a custom contemporary look. 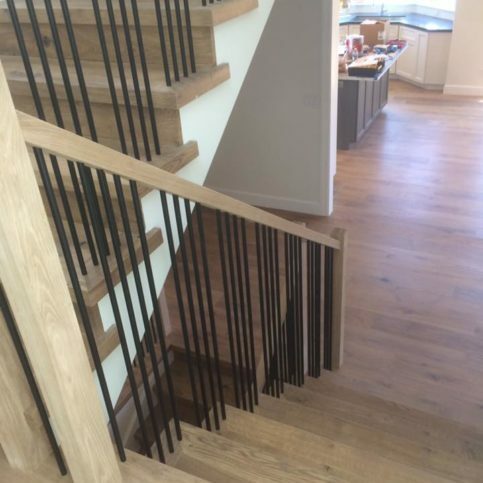 Martinez Stair Company Inc. used square newel posts with straight metal balusters to create a clean look in this San Ramon townhome. This traditional curved staircase features stained solid wood treads and railing, contrasting white tread risers, and turned white balusters. An additional view of this Danville home shows how turned wood posts and metal balusters combine to create a more ornate appearance. 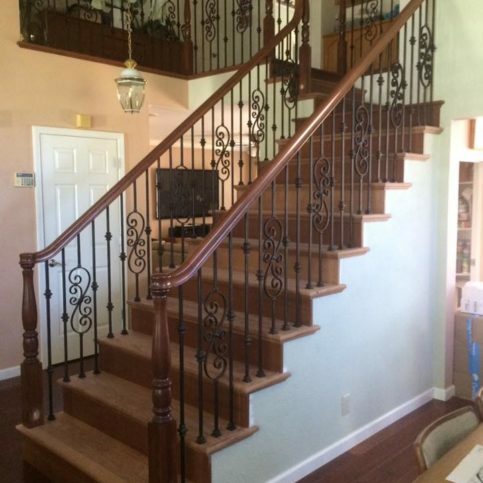 Martinez Stair Company Inc. combined turned wood posts and metal balusters to give this home in Danville a more ornate appearance. When dealing with Alameda County stair builders, your needs and desires are paramount. That’s why it’s so important for you to have an idea of what you want in terms of services, materials, style, and more before contacting staircase companies for estimates or bids. You may not know exactly what you want, and that’s okay. It’s common for homeowners and business owners to coordinate with contractors to come up with designs and materials based on the clients’ wishes and the contractors’ experience. However, having some examples and ideas in mind will help you better express your wishes and will improve your chances of getting the staircase and services you’ve been looking for. 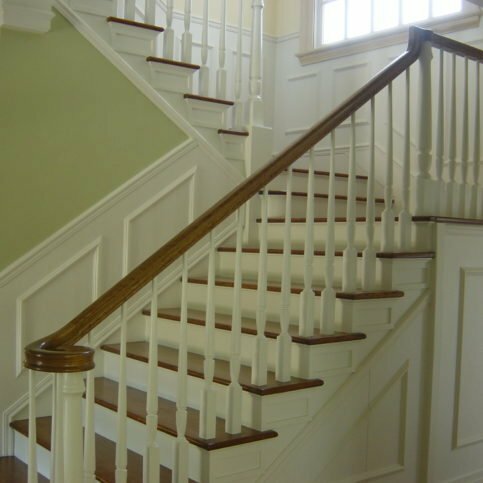 Start by collecting some pictures of staircase styles, handrail styles, newel post and finial designs, materials, and finish work that you like. This will help you show your contractor your design aesthetic and allow them to weigh in on your choices in terms of cost, availability, feasibility, installation, and more. You should also have a written list of wants and expectations, both in terms of the materials and products and customer service. Write down your ideas and questions, and keep a record of the answers you get from various stair contractors in Alameda County. That will help you decide which one is the best match for you and your project. Do I want a Diamond Certified stairway contractor that is rated best in quality and backed by the Diamond Certified Performance Guarantee? What is my budget for my new stairs or stair repairs? What is my preferred timeline? Is there a date by which I need to have the repairs, replacement, or stairway construction completed? What personal and professional characteristics am I looking for in my Alameda County staircase contractor? After you’ve narrowed down your choices by interviewing local stair companies over the phone, it’s time to meet with your top choices in person. This usually happens at the location where the work will be done, and it’s your chance to ask more questions about your specific job and their process. It’s the Alameda County staircase contractors’ chance to see the work site in person and get more information from you. After meeting the company representatives in person, you may want to ask for a bid or estimate on the job at hand. As with the phone interviews, you may find it advantageous to take notes on your conversations and record each stair contractor’s answers, suggestions, and attitude about the project at hand. The following are some sample questions you may want to ask. Add to these any questions that are specific to your job and needs. How much time will the staircase repair, refinishing, design, or installation take? Will I be able to stay in my home while you’re working on my stairs? Or will I need to stay somewhere else for part or the entirety of the job? Who will be doing the actual work on my project? Will it be you, company employees, independent contractors, or subcontractors? Will you give me written proof that everyone on my property and working on my job is covered by liability and workers’ compensation insurance? 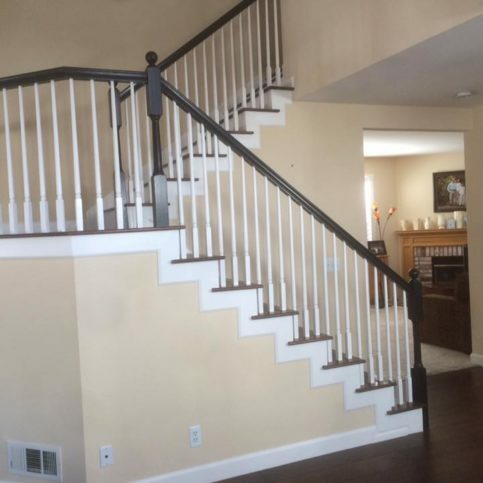 Will this staircase installation or remodel add value to my home? Do you have any recent projects like mine that I can see, either in photographs or in person? If I live in Castro Valley, Emeryville, Mt Eden, Russell City, Piedmont, Cherryland or outside of your immediate service area, will you charge extra for travel fees? Do guarantee your work? Will you put warranties in writing? How would I handle any future issues? Are you responsible for warranty work if there’s ever a problem with my staircase or stair railings? It’s best to choose a Diamond Certified stair construction company because all certified companies have passed an in-depth ratings process that most other companies can’t pass. If you want quality from stair contractors in Alameda County and the greater Bay Area, you can have confidence choosing a Diamond Certified company. That’s because Diamond Certified reports are available online for all certified companies. And you’ll never be fooled by fake reviews. In fact, verified research is performed in live telephone interviews of actual customers. If you can’t find Diamond Certified stair contractors that serve your location, you’ll have to do some research on your own. Start by calling references provided by your chosen stair building company, whether they’re in Oakland, Fremont, Hayward, Berkeley, San Leandro, Alameda, Union City, Pleasanton, Newark, Dublin or beyond. As you do this, keep in mind that references provided to you by companies are not equal in value to the large random sample of customers surveyed during the Diamond Certified ratings process. Instead, references given to customers from companies are often cherry-picked to include only customers that the contractors know are satisfied instead of randomly selected from all their customers. If you do call references on your own, ask for a list of the company’s most recent customers or those who have had similar stair construction or repair services to those you’re considering. This will help ensure that you get more honest and unbiased references who can address your questions. Were you satisfied with the work and customer services provided by _(Alameda County stair contractor name)_? Did the Alameda County stair company you hired complete the work on time and as promised? Did the contractor keep you up to date on the status of the stair repair or installation project? If you live in a smaller town such as Castro Valley, Emeryville, Mt Eden, Russell City, Piedmont, Cherryland, did they charge extra to travel to your home? Did the Alameda County stair builders show up on time? Were you able to stay in your home while the work was ongoing? Did they clean up after the work was done? If you need stair repairs or new stairs or handrails in the future, would you hire this stair building contractor again? Is there anything else I should know before I decide whether to hire this contractor? Before deciding on the best stair contractors in Alameda County for you, it’s important to consider the following questions. Can the staircase builders you’ve interviewed meet your needs in terms of scheduling, design, construction, budget, and customer service preferences? Are the Alameda County stair contractors knowledgeable about the scope and details of the stair repairs or installation you’re considering? 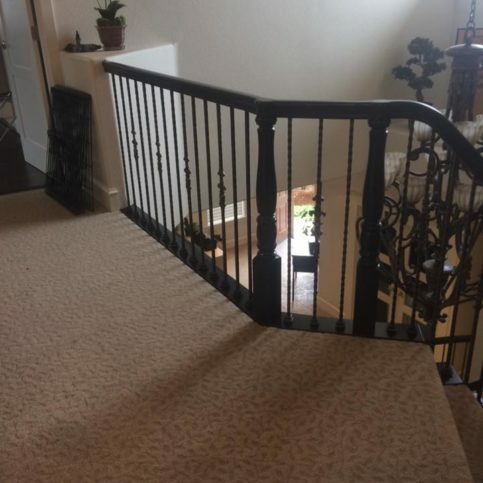 Can they tell you which designs and products best suit your needs and why (e.g., stair repairs, stair tread repairs, stair handrail repairs, guardrail installation, new stairs, custom stairs, wrought iron stairs, etc.)? Is the company sensitive to your budget? Can they offer various solutions and products that fit your resources? Most stair contractors will give you bids for good, better and best options that include choices of design, aesthetics, cost, and services. Do the stair building contractors in Alameda County offer written warranties that protect you and your property in the event of a product failure or construction/installation problem? 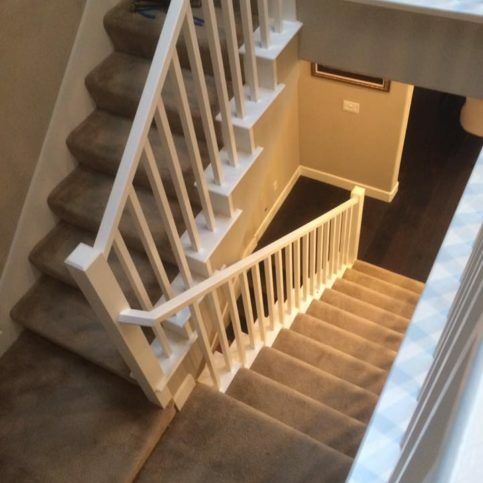 Once you’ve reviewed your notes and the answers to the above questions, it should be clear which Alameda County stair contractor can best meet your needs. Once you’ve made your decision, it’s time to move forward by signing a contract and setting a date for service. You’ll be much more likely to get the service and results you want and expect from your staircase contractors if you take time to plan carefully and choose the best contractor available. 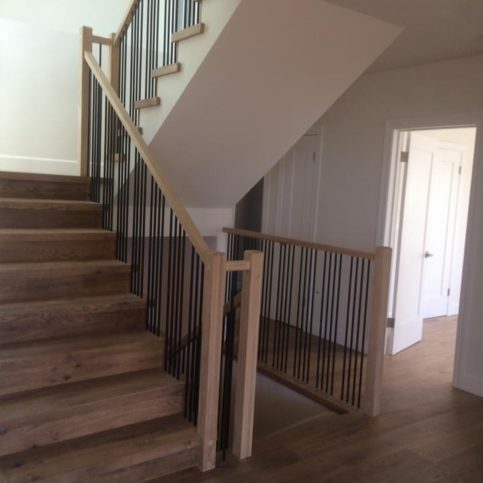 Knowing the type and scope of project you want done and the qualifications and qualities you want from your contractor will help you stay on track when talking with Alameda County stair builders. It’s also important to know your intended and absolute limit when it comes to budget. Having samples, photos, ideas, and input will help you better express yourself as you choose a contractor and create a plan forward with them. While it may be tempting to call contractors and hurry through the selection process so you can get the work underway and completed sooner, rushing through your decision can lead to poor choices, blown budgets, and an outcome that doesn’t look like your hoped-for staircase. Once you’ve found the right contractor, you can feel secure moving forward by asking for a detailed estimate and contract (including line item charges, expected star and end dates, exact products and materials to be used, special requests, and other job details). You should also ask for any guarantees or warranties in writing at this time. Read through the estimate or contract and be sure you understand all terms and limitations before signing. Contracts are binding legal documents, so never sign a blank or incomplete estimate or contract or one that you don’t completely agree with. Once you’ve signed the contract, ask for a copy of the document so both you and your Alameda County stair contractors have one on hand. Then set a date for the work to begin and begin the process. Good stair contractors in Alameda County, including those serving clients in San Leandro, Berkeley, Hayward, Fremont, Oakland and throughout the Greater Bay Area, should be seasoned professionals who are ready and able to handle almost anything that comes their way. However, there are some things you can do to help the job go more smoothly and to potentially save time and money. Find or make storage space if needed. Your contractor may have space in their shop to store materials as they arrive or they may need you to store materials on site. Talk with your contractor to learn if they’ll need you to provide storage space and, if so, how much space is needed and for what amount of time. Make room for work trucks. Construction vehicles may need special parking consideration. Ask your stair builder how many work vehicles will need parking space on which days, and whether trailers or other large vehicles will be on site. Do a site walkthrough with your contractor. Walk through your property with your Alameda County stair building contractor so they can see the entire site from driveway and entry to work site and storage space. Ask them to be on the lookout for possible clearance issues, parking problems, or other potential hazards that you can move or minimize before the work begins. Prepare for construction. Staircase construction is often a dusty job, and it can be stressful to have contractors and workers in your home. Talk with your contractor about steps you can take to prepare and dust-proof your home before the work begins, and find out if you can stay in your home or be home during the work. If not, make a plan for where you’ll stay during the work, and be ready to leave the premises before work starts. Move and store household goods near the stair construction zone. Remove furniture, decorations, rugs, and other objects from the staircase area and the path from the door or storage area to the stairs. This will protect belongings from dust and damage, and it will allow your staircase contractors to move freely and avoid injury or potential damage. Additionally, think about the high traffic areas of your home where workers may be walking or carrying construction materials and move or remove items from those areas to prevent damage and injury. Additionally, if there will be heavy construction activity, think about fragile items, antiques, breakables, or items on walls that may shift, fall, or be susceptible to damage even if they aren’t in the immediate construction area and move them temporarily to a safer location. Keep children and pets away from the area. 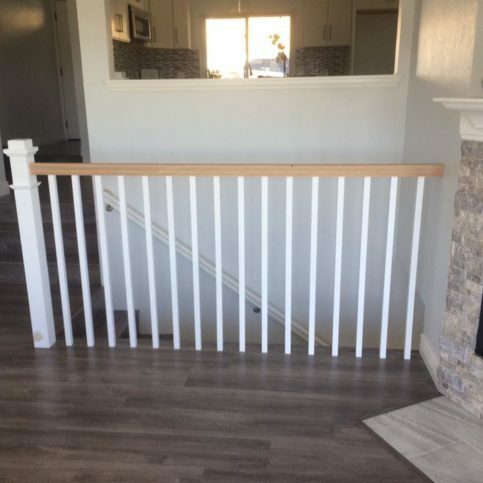 Open stairwells, missing stairs, temporary removal of guardrails and handrails, and other stairway construction can be a hazard, particularly to kids and pets. For their safety, keep household pets and children out of the area while work is in progress. It’s also smart to keep everyone away from the area even when work has stopped for the day, as stairways under construction can be extremely dangerous. 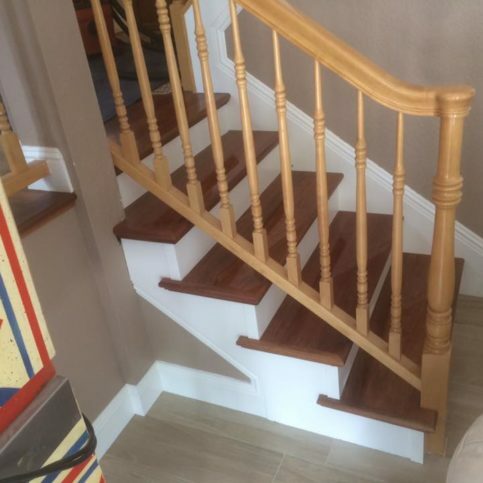 It’s your stair contractor’s responsibility to design, build, and install your custom staircase or to perform your stair repair using the best possible techniques and materials. But, perhaps surprisingly, you can also play a part in the success of your new stairs installation. Why would you want to be a good customer? 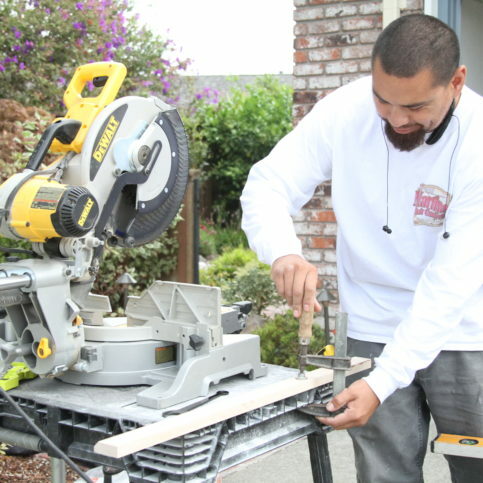 Good stair contractors in Alameda County appreciate customers who are straightforward, honest and easy to work with. Your good customer behavior sets the tone from your end and creates an environment conducive to a good relationship. Things may very well go smoother and any problems may be more easily resolved. Here are a few simple steps you can take to be a good customer when hiring Alameda County stair builders in Dublin, Newark, Pleasanton, Union City, Alameda and beyond. In doing so, you may help the job go more smoothly and end with a better result. Be clear and upfront with the stair builder. Let them know what you want from them, the outcome you’re expecting, and specific ways they can satisfy your expectations. Remember to offer a friendly smile, confidence that the contractor will do their job, and a helpful attitude. Before you hire a stair builder or stairway contractor in Alameda County, restate your expectations and goals and reiterate to the representative your understanding of the agreement. Most problems with local companies occur because of a breakdown in communication. By taking steps to be clear about your expectations and theirs, you can avoid most conflicts. Ask your stair building contractor if you should call to check on the progress or if they will call you with updates. Be sure your contractor has a phone number where they can reach you at all times while they’re planning, designing, building, and installing your staircase. The work will move along more smoothly if your stair construction company can reach you if they have questions or need your input. Return calls promptly to keep the stair construction services on schedule. Pay for the work promptly and as agreed upon in your contract. At the close of the job, ask your stair builder to show you the completed work and talk with you about what they did. Find out about any care instructions for your new stairs or handrails, and compare the final invoice with the work that was done and with the original contract. This is the time to ask any questions you might have about work, fees, materials, or warranties. The stair contractor’s name, physical address and state license number. The total cost for the services, including the itemized amount charged for labor. A written explanation of any warranties or guarantees provided by the product manufacturers and the contractors. Written guarantees and warranty documents protect you and your contractor. They should clearly state what’s under warranty, for how long, what will happen if the warranty needs to be used, and who will take care of the problem. The Alameda County stair builder’s name, physical address, and state license number. A description of what exactly the warranty covers. This should include whether the contractor will repair or replace faulty materials or poor workmanship. How long the warranty is valid, and whether it expires on a specific day or is prorated (if the warranty coverage and amount owed for repair or replacement diminishes over time). 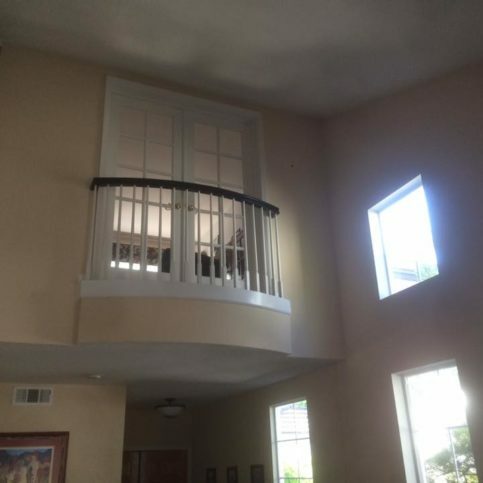 If the warranty coverage is transferable to the new owner if you sell the home or building in which the new staircase was installed or the repairs were done. Remember that a warranty is only as good as the company that provides it. That’s why it’s important to choose a reliable, trustworthy, solvent company that’s known for good work and good value. If a company fails or goes out of business, their warranty coverage is no longer good and you will be stuck without protection if something goes wrong. That’s why the savviest consumers choose companies based on value and quality rather than price alone. 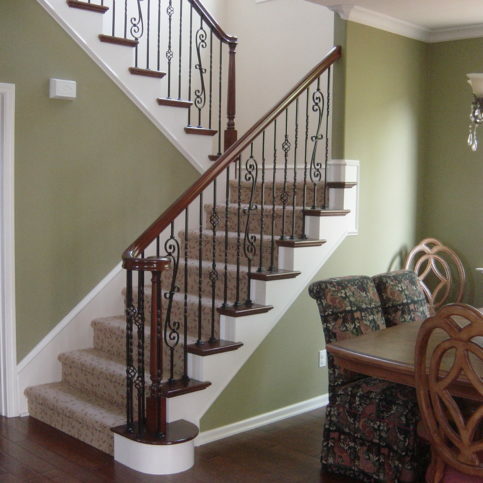 Stair handrails may need to be repaired, replaced, or newly installed. Stair railing installation may take place in conjunction with new stairs, or when a new look or additional safety measures are required. 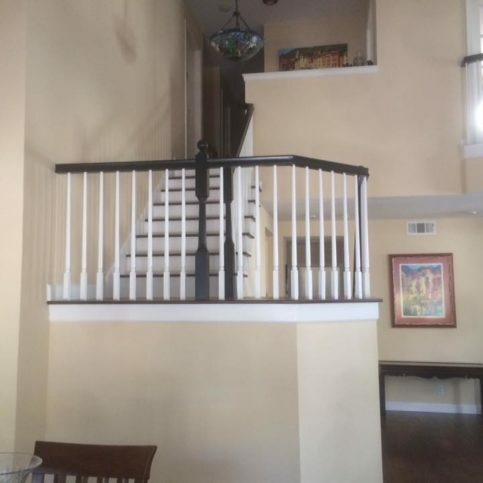 Stair handrailing repair is possible for wobbly handrails, damaged stair handrails, damaged stair posts and newel posts, and more. Stair banisters, also known as balustrades or stair rails, are entire stair railing systems including handrails, balusters, newel posts, and tread caps. Banisters and stair guard rails protect people and pets using stairs, staircases, and balconies. They may be installed as part of a new stair system, updated to change the look and feel of the staircase or balcony, or repaired. 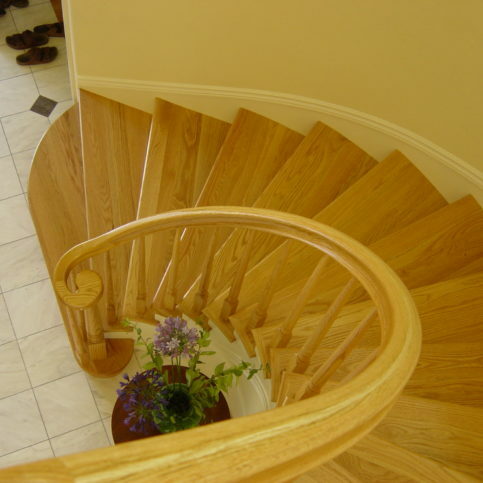 Custom wood stair cases, stairways, stairwells, and steps include hardwood stairs such as oak, maple, cherry, Brazilian cherry, hickory, and more. 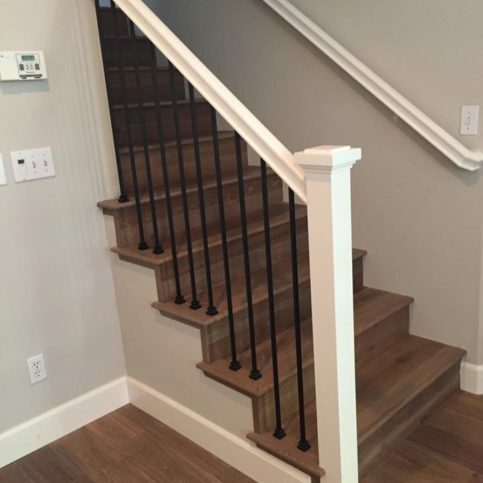 Wood stairs are popular in buildings of many different styles, and the variety of custom wood applications and types of wood means most good custom staircase builders in Oakland, Dublin, Fremont, Newark, Hayward and throughout Alameda County can create beautiful designs to fit in any home or business. 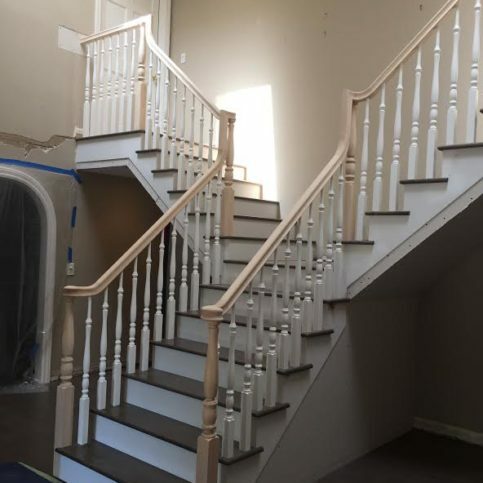 New stair balusters and replacement balusters can update the look of an existing staircase or balcony and can make a room and home look fresh and inviting. 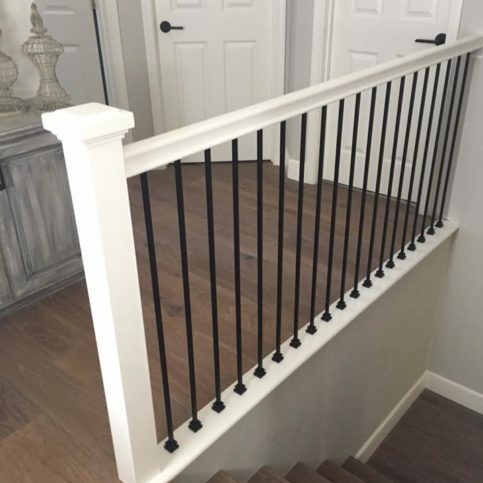 Balusters, stair rails, banisters, and railings all work together to provide a combination of form and function—keeping staircase users safe while improving the appearance of the home or business. 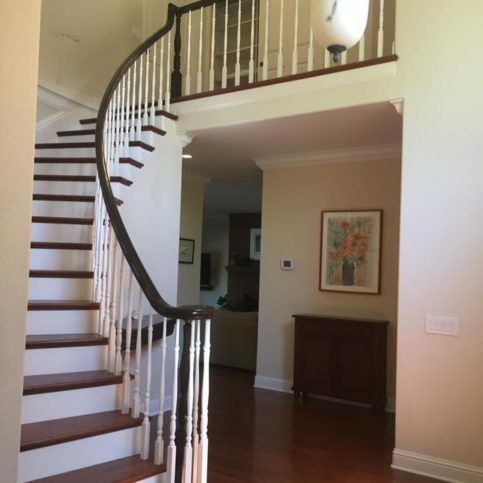 New spiral staircases, including circular staircases, custom spiral staircases, helix and double-helix staircases, and more can be designed, fabricated, built, and installed by Alameda County staircase contractors. These staircases are unique because they curve in a circular pattern and often have a much smaller footprint than traditional staircases. 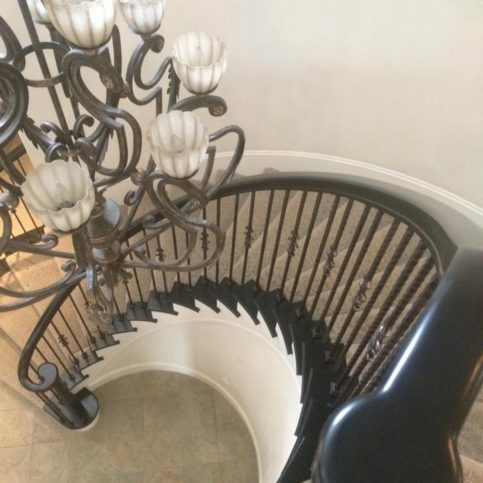 Custom spiral stairs may be fabricated from wood, metal, wrought iron, or a combination of materials to match the home or business and design esthetic chosen by the property owners. 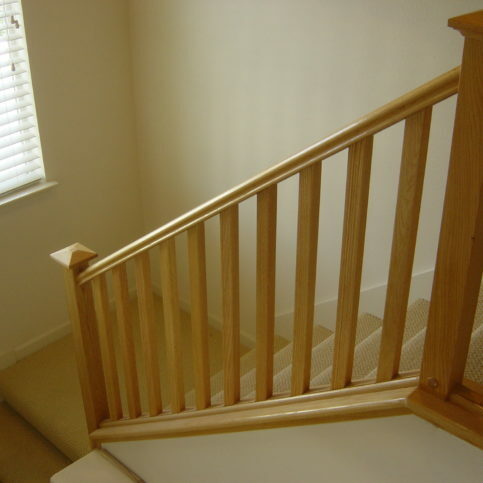 Not all staircase contractors offer staircase design services. 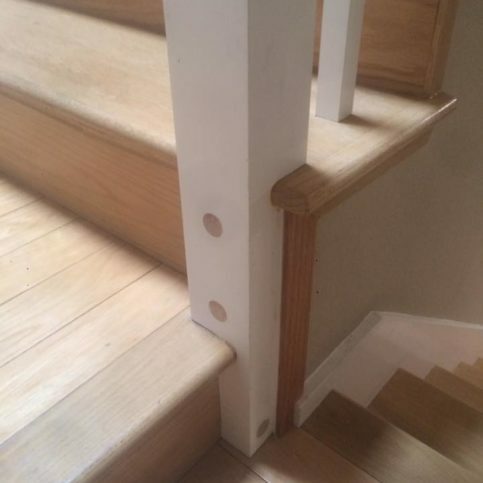 Some merely fabricate and/or install new staircases. However, some stair builders in Alameda County, including those in Oakland, Fremont, Hayward, Berkeley, San Leandro, Alameda, Union City, Pleasanton, Newark, Dublin and other areas, design new staircases. If you want a custom staircase design, talk with the local stair companies near you about their design abilities and sensibilities. 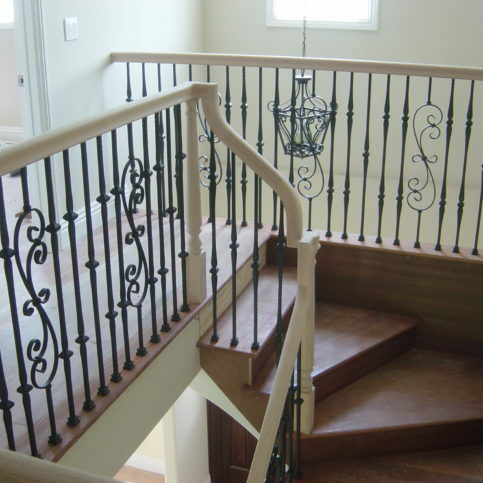 Metal stair cases, including wrought iron staircases, are very popular in Alameda County and the Greater Bay Area. Wrought iron staircases are known for their wrought iron balusters, handrails, and spindles, in gothic style, scroll style, and others. Made of forged iron, they have a classic look that can also be very modern. 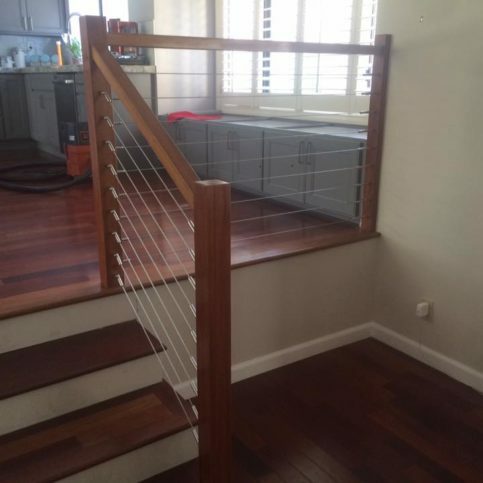 In addition, metal stairs (including metal steps, metal handrails, metal and iron balustrades and guard rails) are very popular choices for homeowners and business owners because of the longevity and easy care of the materials. 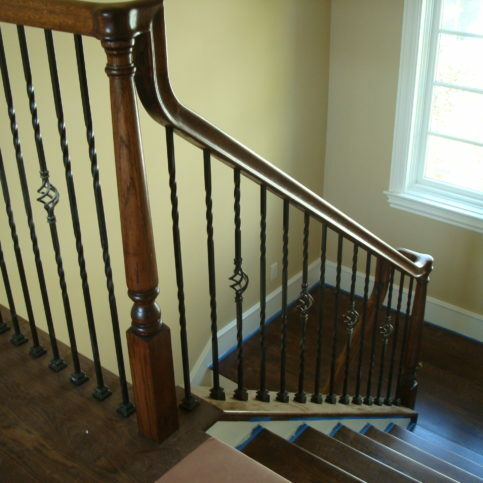 Alameda County staircase contractors can often provide staircase repairs, including stair step repairs, handrail repairs, baluster repair and replacement, stair railing repairs, wobbly railing repairs, repair or replacement of squeaky steps, broken railing repair and replacement, spindle repair, broken step replacement and repairs, newel post repairs, and more. 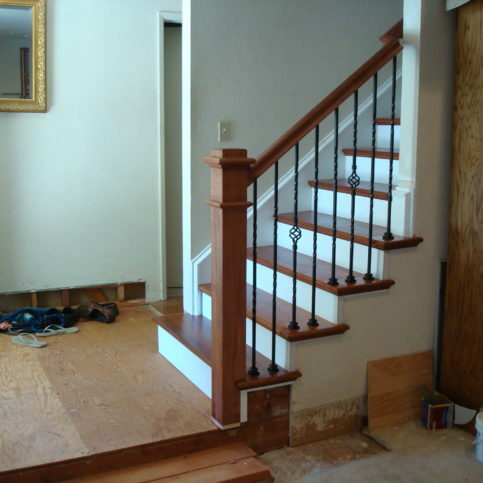 If your staircase is damaged and needs repair, talk with local Alameda County stair builders near you to see if they’re able to offer the stair repairs you need. 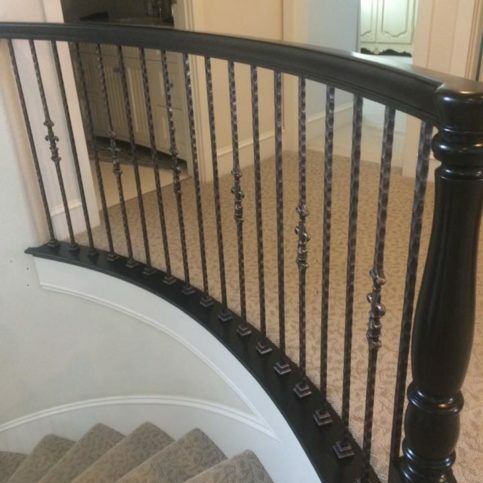 Many Alameda County stair companies can provide stair parts and accessories, including stair treads, handrails, handrail fittings, handrail brackets, stair hardware, custom stair accessories, newel posts, newel post finials, turned newels, box newel posts, wood balusters, metal balusters and handrails, shoe moulding, stair nosing, skirtboards, cable railing systems, and more. Newel posts, also known as stair posts, are the larger support posts located at the ends of staircases and at main junctures. Newel posts are also typically decorative pieces with finials. Stair newel posts come in custom styles and several main styles, including box newels, turned newel posts, standard newels, pin-top newel posts, stabilizer newel stair posts, and more. 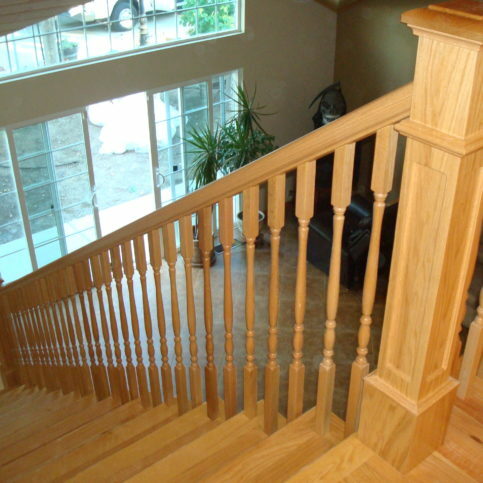 Newel posts may be custom designed and fabricated or purchased and installed by Alameda County stair builders. An opening in an upper level wall that looks down on a lower level of the home or building. Most balconies require a balustrade or banister to serve as a guardrail and prevent people and items from falling from the balcony. Turned or carved vertical columns that support handrails along stairs and balconies. Banisters, also known as balustrades or stair rails, are railing systems including handrails, balusters, newel posts, and tread caps. 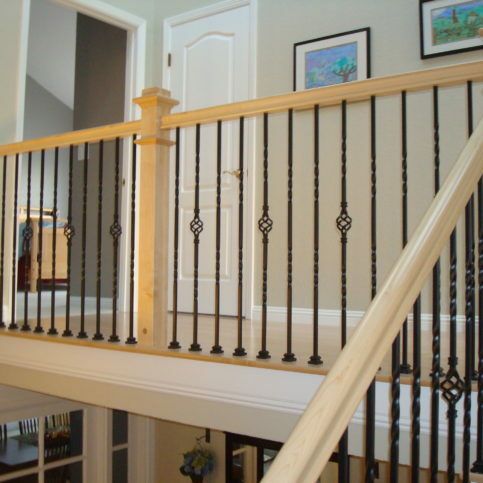 Banisters are stair guard rails that protect people and pets using stairs, staircases, and balconies. Wall-mounted handrails on stair cases are known as bracketed handrails because they are bracketed to the wall. Any staircase that is formed in a circular shape (either a full circle like a spiral staircase or a partial circle like an S-curve staircase, snake staircase, or curved stairs) are known as circular staircases. Some building codes define circular staircases and spiral staircases separately in terms of code requirements. A double-helix staircase is a spiral staircase that is supported by helical stringers, which are the housing on either or both sides of the stairs and to which the stair treads are connected. Double-helix staircases have two helixes, or spirals, wrapped around each other for a double-helix appearance. Finials are ornamental caps placed at the top of newel posts. Staircase finials can be carved, turned, ornate, simple, made of the same material as the newel post, or a novelty finial (such as stone, metal, glass, crystal, or antique finial). An uninterrupted series of steps is considered a flight of stairs. Homes and buildings with more than one floor will have one or more flights of stairs leading from one floor to another. Staircases leading from one floor to another without supports such as walls or columns between them are considered free-floating stairs. Modern staircases coming directly from the wall and without visible stringers or other supports are free standing stairs. 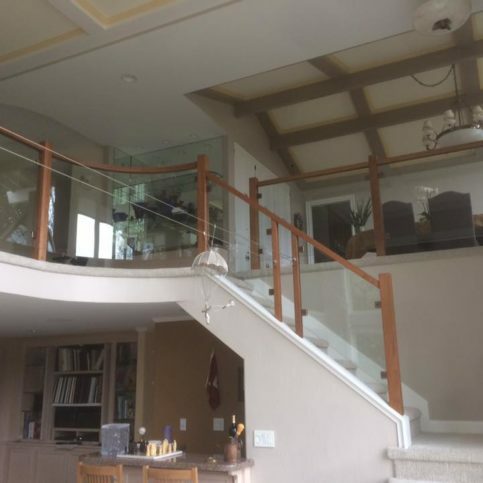 Guardrails are balusters or balustrades that prevent people and pets from falling into staircases and over balconies and similar open spaces. The top section of a banister or balustrade that is meant to be held by a person using a staircase is known as a handrail. Handrails are added to stairs to add safety, comfort, and ease of use. Platforms between flights of stairs, usually between floors of a building, are known as landings. These are often found where flights of stairs turn, with one flight of stairs coming up to the landing on one side and another flight of stairs exiting the landing in an opposite direction. 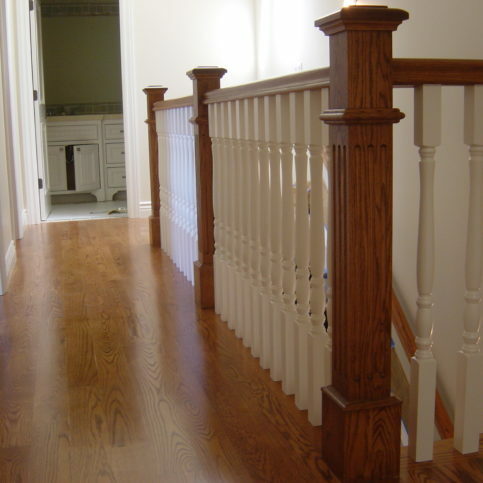 Newel posts are larger columns placed at the beginning, end, and middle sections of staircase handrails. 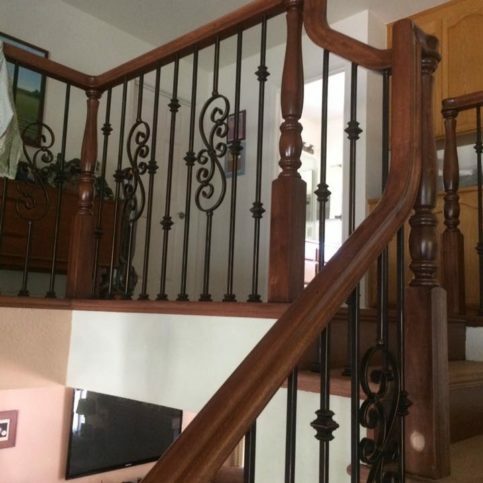 Most newel posts are placed at the beginning, end, turns, and other areas of a staircase where the handrail needs extra support for safety and appearance. Newel posts may be plain or decorative and often have finials that add to the style of the structure. Also known as: stair case column, staircase post, stair post, handrail post, decorative newel post. Rise is the vertical height of each step and, when referring to the rise of the entire staircase, the full vertical height of the staircase. The horizontal dimensions of a staircase is considered the staircase run. Each step, or tread run, contributes to the overall run of the stairs. Some staircases have a starting step that is a decorative first step. These often have a larger tread or decorative front section that hangs out farther than that of other stairs. The horizontal section of a staircase step where users place their feet are known as treads. Staircase treads can be made of wood, hardwood, metal, or other materials, and they can be carpeted, painted, finished hardwood, capped, tiled, or otherwise decorated. Handrails that are attached to a wall by metal or wood brackets, known as wall-mounting brackets or wall-mounted brackets, are wall-mounted railings. Q: Why choose among Diamond Certified stair contractors? A: Diamond Certified helps you choose a stair building company with confidence by offering a list of top-rated local companies who have passed the country’s most in-depth rating process. Only stair contractors rated Highest in Quality earn the prestigious Diamond Certified award. Most companies can’t pass the ratings. American Ratings Corporation also monitors every Diamond Certified company with ongoing research and ratings. And your purchase is backed by the Diamond Certified Performance Guarantee. So you’ll feel confident choosing a Diamond Certified stair contractor. Q: Do local stair contractors provide free estimates? A: Most stair builders and staircase contractors will provide free estimates based on your needs, wants, and specifics of your job. Other stair builders offer estimates and will refund the cost of the estimate if you decide to hire their company, and still others will charge a fee for estimates to cover their costs. Talk with your preferred stair builder about their policy on estimates. One thing you should consider is that estimates—whether free or as part of billable hours—are only as good as the estimator and their methods. Most of the best stair companies will insist on coming to your home or business to see the job site, measure the area, talk with you about your preferred style and materials, and provide an in-person estimate. Estimates over the phone can be helpful in giving you a ballpark range of cost for your project, but they are rarely as reliable as in-person estimates and bids. Q: At what phase of the project should I reach out to local stair companies? A: Most stair case companies recommend getting them onboard as soon as you know you’re going to be undergoing a building project or remodeling, replacing, or repairing your stairs or staircase. Some local stair builders can provide design and implementation, while others can work from designs created by architects or other planners. It’s wise to research, interview, and hire a staircase contractor early in the process so they can be part of the entire job from beginning to end. Q: Can staircase builders design and fabricate the stairs they’ll be installing? A: That depends on the staircase building contractors you hire. Some are able and equipped to design and fabricate new stairs, steps, and entire staircases. Others can implement others’ designs (those created by an architect or designer). 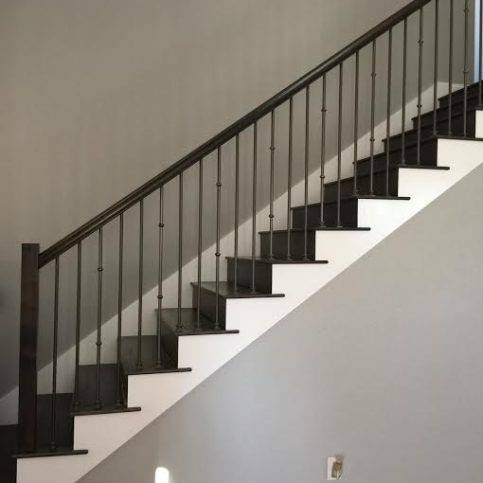 Likewise, depending on their abilities and skill set, some staircase builders can fabricate custom stairs, handrails, and entire staircases, while other companies use materials manufactured by others to build and install stairs and staircases. 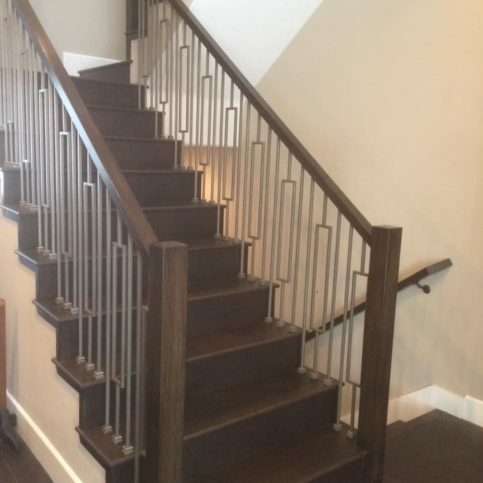 If a custom designed, hand-fabricated staircase is important to you, you’ll want to add those capabilities to your wish list and include it in the interview questions you ask while searching for the best staircase builder for your job. Q: What materials can I choose from when planning my custom staircase? 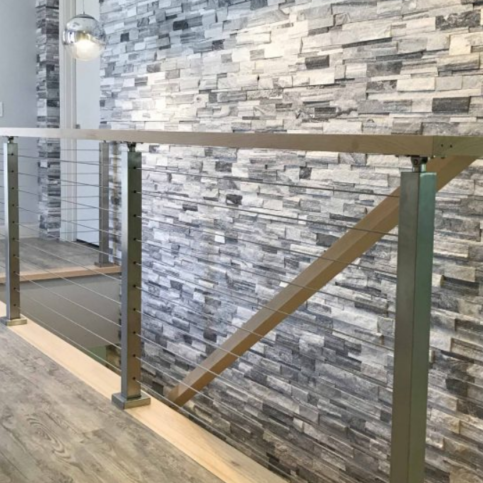 A: New stairs, staircases, and stair handrailings are available in a wide variety of materials, including wood, hardwoods, metal, steel, wrought iron, stone, polymers, plexiglass, and more. Wood staircases are available in many kinds of wood, including oak, maple, cherry, Brazilian cherry, hickory, and more. Talk with your staircase contractor about the materials they have available and what they recommend for the style you desire and the current look of your home. Q: How long will I have to wait for my new stairs? A: Most good stair builders have a lead time of a few weeks to a few months. 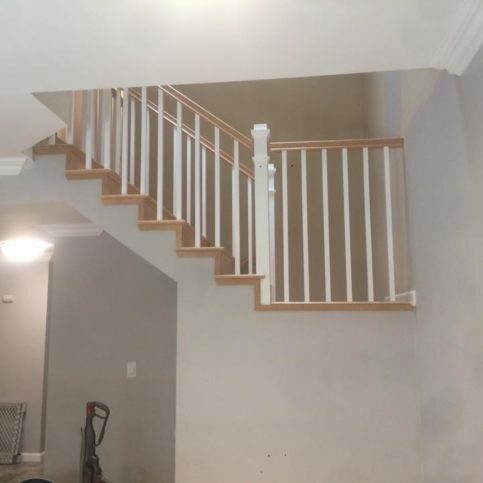 There aren’t many qualified staircase contractors, so those who have a good reputation in the community and do the best work may not be able to start your project immediately. You will also need to consider the project. If you are having custom stairs designed, built, and installed, it can take several weeks to months to complete the project from beginning to end. 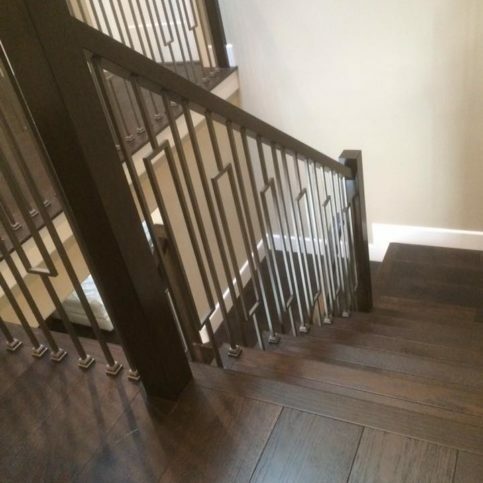 Likewise, if the staircase you’re having installed uses unique or hard-to-find materials, it may take longer for the materials to become available or to arrive once ordered. Talk with your stair builder about your specific project for a timeline based on their availability and your needs. 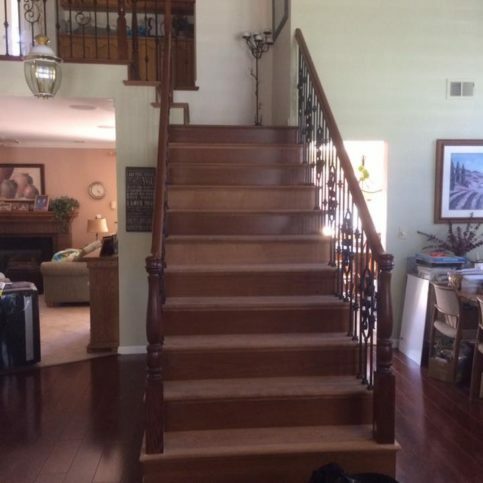 Q: Do custom staircase builders also provide staircase, step, and handrailing repairs? 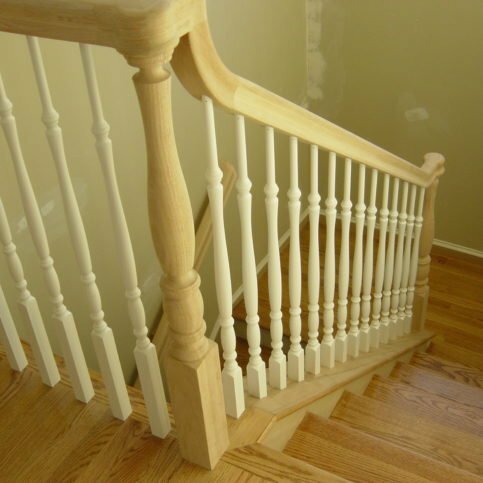 A: Most staircase contractors also offer repairs for steps, stairs, handrailings, newel posts, balusters and more. Talk with your contractor about repairs you need now and whether they’ll be able to help you in the future should your new custom staircase need repairs or refinishing. 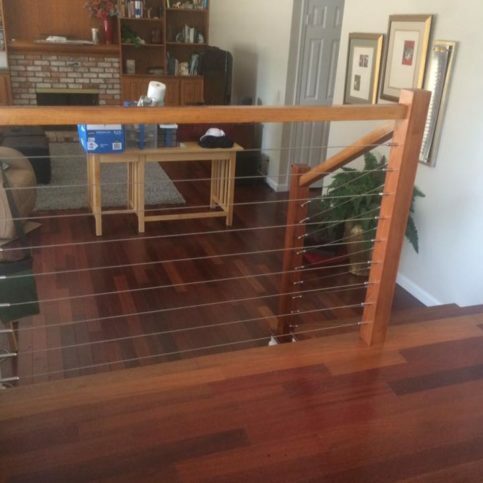 Q: Can I get a new stair railing even if I’m not replacing my current stairs? A: Absolutely. 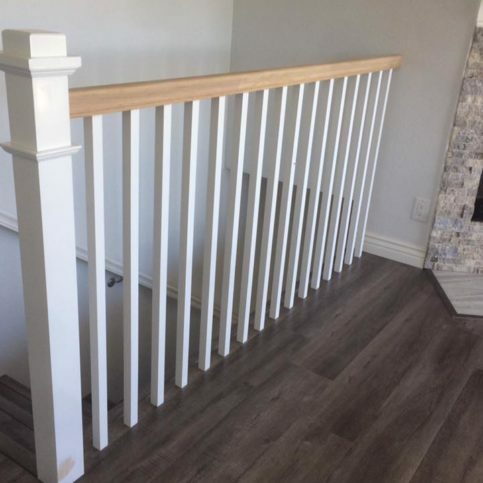 Stair railings often need to be replaced long before steps and staircases, so it’s common to add a new stair railing to an existing set of stairs. New stair hand railings can change the look of stairs, add safety and ease of use, and have other perks. 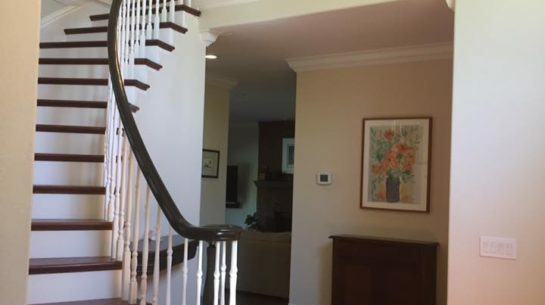 Some companies can also offer new stair treads, newel posts, hand rail posts, balusters and balustrades, guard rails, and other features to update or change the look of stair cases. Q: Will I have to move out of my home while my stairs are being built or repaired? A: That depends on you, your needs, and your home. 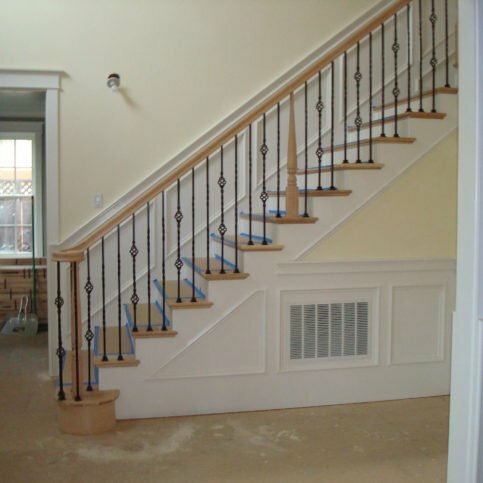 Many stair contractors are able to build and repair stair cases, handrails, and other features while you are still in your home. As long as the job site isn’t hazardous and there is a way for you to access necessary rooms in your house, it probably won’t be necessary for you to move out of your home for the duration of the job. Good contractors may also have ways to remodel, repair, or replace the stairs in your home in sections so the entire staircase isn’t torn out all at once or for long periods of time. 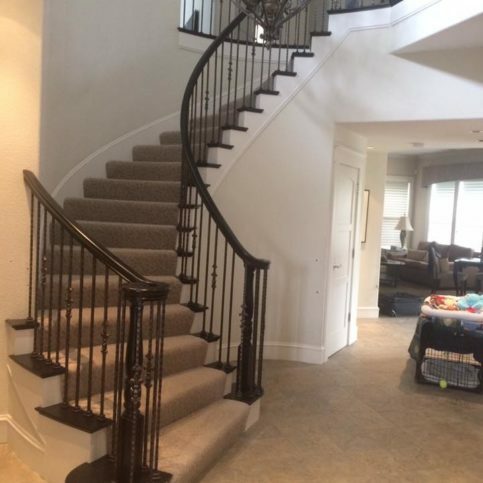 If you’re planning to have major repairs or rebuilding done on your staircase, talk with your contractor about whether you’ll be able to stay in your home during the work and see if there is a way for them to accommodate your needs safely and without sacrificing the quality or timelines sof the job.